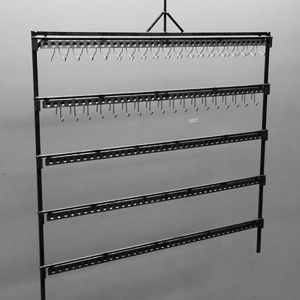 Fully-welded 40-3/4″ wide rack frame with removable crossbars. Custom widths available. 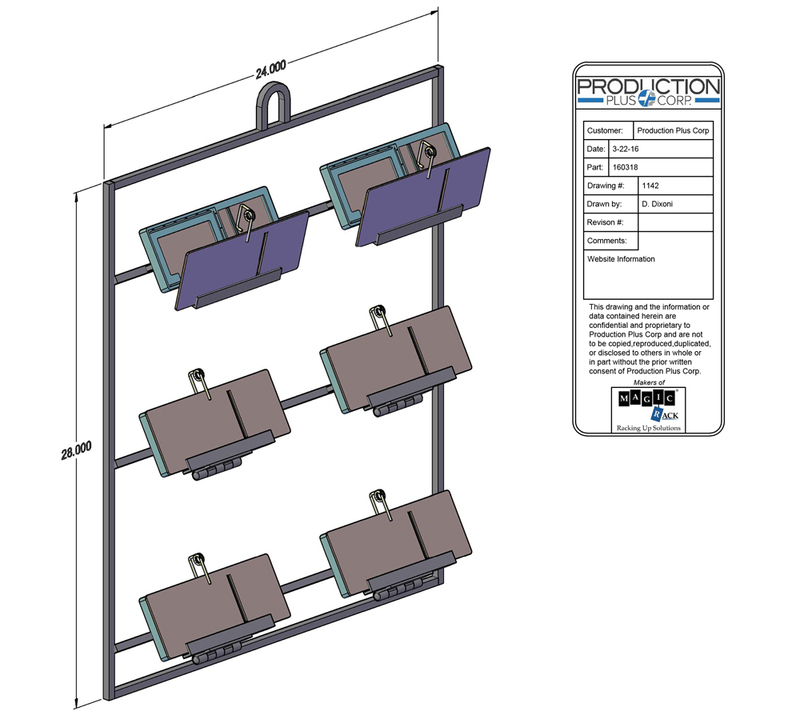 Patented spring torsion wire form and square tube connections re-establish electrical conductivity each time a painted crossbar is inserted into the rack. Can be used in e-coat, wet spray and powder coat systems. Features of our patented MAGIC Rack® MP.